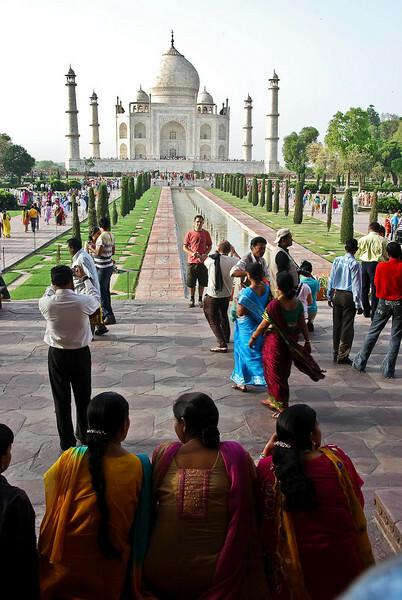 I was lucky enough to see it on two separate occasions due to Agra being on both of the 'Intrepid 'tours I did. The evening light gave a very different experience. The crowd was much bigger in the evening but the site is so big it seems to accommodate it. Most of the crowd was Indian which was lovely to see.